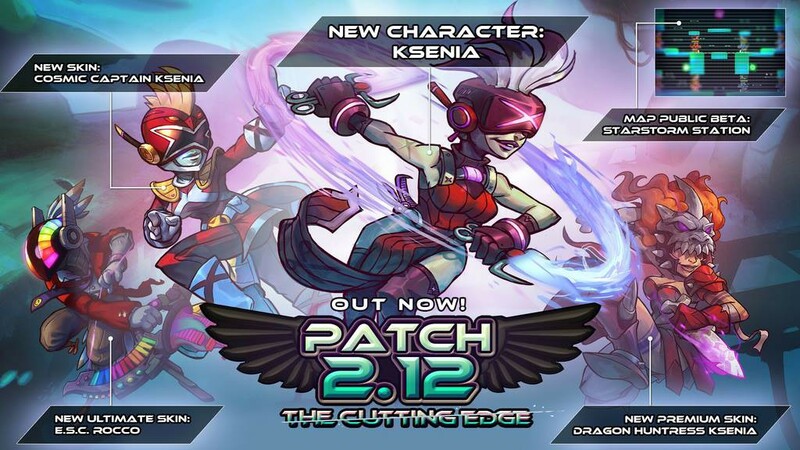 Patch 2.12: The Cutting Edge is LIVE! Awesomenauts 2.12: The Cutting Edge is out now! An all-new character, Ksenia, is added free to all players. Log on to Steam and take her out for a spin! Check out the full patch notes here!